Juventus recorded an impressive home victory against reigning European champions Real Madrid, courtesy of goals from Carlos Tevez and Alvaro Morata. Massimiliano Allegri was still without Paul Pogba in his preferred 4-3-1-2, and handed Stefano Sturaro a place in midfield alongside, Arturo Vidal, Claudio Marchisio and Andrea Pirlo in midfield. Gareth Bale and Cristiano Ronaldo formed a pacy strike partnership upfront in Carlo Ancelotti’s 4-4-2. Sergio Ramos maintained his makeshift role in midfield with Toni Kroos, whereas James Rodriguez and Isco drifted infield from the flanks. This was something of a traditional European Juventus performance under Allegri: the Bianconeri attacked directly with balls into the strikers, and once they regained the lead in the second half, showcased the ideal manner in closing out a match through organized defending. The most interesting tactical approach throughout full-time was Juve’s approach in the first half. Most Serie A teams are often ridiculed for their inability to cope with intense pressing and dynamic opposition, but under Allegri, Juve have managed to overcome the stereotype. Similar to their victory over Borussia Dortmund in the round of 16, Juve intended luring Real forward with patient passes in their half, and then bypassing the press with simple lofted balls into their strikers. Real, however, weren’t keen on blitzing the hosts with pressure in the opening minutes, and were at times reluctant to move higher up the pitch as a unit. A simple Leonardo Bonucci punt saw Morata’s presence fluster Pepe, but the Spaniard’s audacious chip nearly fooled Iker Casillas. Nonetheless, with Vidal dropping deeper into midfield to create overloads, Juve were free to play vertical passes into advanced positions, and Tevez shifted into space behind Ramos and Kroos. It was Pirlo’s ball into Tevez between the lines that led to Sturaro recording Juve’s first shot on target. Following a terrific Juventus passing move, it was Tevez again that drifted into an ocean of space between Marcelo and Raphael Varane to receive a pass from Marchisio, and fire a low shot at Casillas, which ultimately resulted in Morata’s tap in. This was a brave decision from Allegri, but Morata’s positioning on the last defender stretched Real’s shape, and the Spanish side’s reluctance to press, combined with Juve’s overload in central areas, enabled Tevez to find space between the lines. 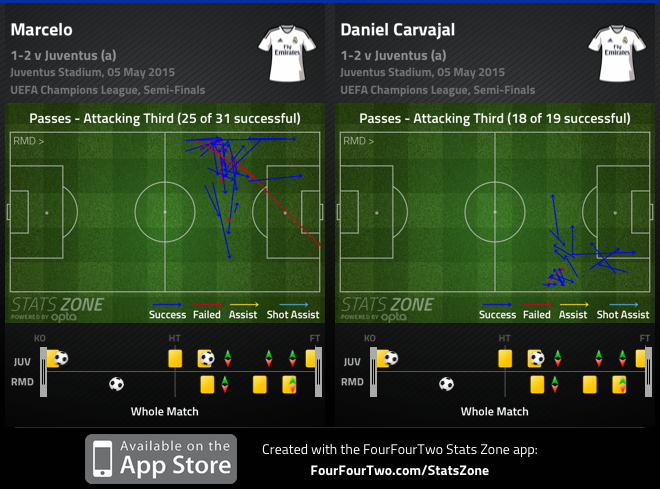 Juve was equally proactive without the ball in the early stages. The shuttlers pushed forward on the wingers, and while Kroos was free to retain the ball, Juve’s centre backs weren’t scared to step forward ahead of Cristiano Ronaldo and Gareth Bale. There was a moment when Chiellini stepped forward to dispossess Bale, which resulted in Tevez receiving the ball in space and firing an audacious effort wide of the net. Sturaro also nicked the ball off Ramos in the opening half and broke down the left channel before cutting the ball back to the Argentine striker, but his effort was poor once again. More importantly it was Morata who led by example: the Spaniard forced Casillas into a poor pass to Marchisio that led to a Vidal penalty shout, and dispossessed Varane in Real’s box, but was harshly penalized for a foul. While lackadaisical play from several Real players resulted in several Juve transitional moves, the hosts’ discipline to quickly close down their markers proved beneficial. Real eventually settled into the match once Juve dropped deeper into two narrow banks of four. 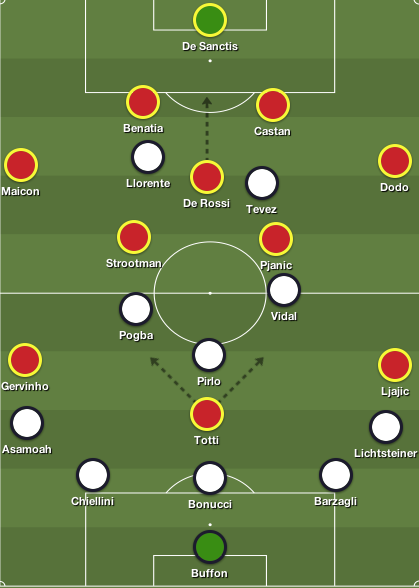 This was the identical shape Real adopted when Juve monopolized possession, but where the Italian champions appeared perplexed when required to break down the opposition, the away side overcame their issues through width from the full-backs. With James and Isco moving infield, central areas were congested, which could also explain the former’s delivery into the box for Varane serving as Juve’s first scare. Prior to Ronaldo’s goal, it was the Portuguese forward’s diagonal run between the centre-backs to meet Isco’s delicate through ball that stretched the Juventus back-line. However, Juventus’ deep positioning prevented Ronaldo and Bale space to run into, and their narrow shape limited Real’s creative players from sliding incisive balls behind the back four. Where Juve bypassed Real’s midfield band with balls into the forwards, the away side countered their issue by pushing the fullbacks forward. Coincidentally, the duo completed the most passes in the attacking third at Juventus Stadium. It was Dani Carvajal’s clever ball into half-space for James that bamboozled Juve’s defence and allowed the Colombian to deliver the cross for Ronaldo’s equalizer. It was one of many long passing moves – and also similar to Juve’s patient buildup for Morata’s opener – that eventually prevailed due to width. Real nearly took the lead minutes from half-time from a similar move that saw Marcelo and Isco overload the left flanks, but James’ nodded the latter’s cross off the bar. Juve started the second half with the energy that was displayed in the early stages of the first. Allegri’s men pressed higher up the pitch once again to prevent Real from playing out the back, and created the first legitimate chance of the half when Tevez turned Pepe and fired a shot directly at Casillas. Although the home side’s ambition to win possession higher up the pitch was successful in the first, the initial ten minutes of the second was stop-start due to Real constantly breaking lines. Stephan Lichtsteiner, Sturaro and Bonucci all committed cynical fouls to half Real breaks, and it appeared the match was shifting in Real’s favour with every passing minute. Then came the equalizer. While it may have been another direct move involving the two Juventus strikers, it was rather fortuitous then planned. Still, Real were caught on the break, a situation Ancelotti should have been wary about heading into this tie – particularly following Juve’s triumph over Dortmund earlier this year. Marcelo’s shot ricocheted off Kroos, igniting a 2v2 break between Juve’s strikers and Real full-backs, which resulted in both men being fouled – Carvajal clipping Tevez in the box. Tevez notched his 29th goal of the season from the spot, but also shifted the match back into Allegri’s hand despite a nervy start to the second half. The goal forced both managers into significant system alterations. Ancelotti turned to his only fit striker, Javier Hernandez, to replace Isco, as Madrid effectively became a 4-3-3. Allegri instantly reacted by inserting Andrea Barzagli into defence for Sturaro to make Juventus a 3-5-2 that eventually transitioned into a 5-3-2 out of possession. Bale was finally involved in the match, receiving space downn the right flank, but Real’s attempt to blitz the penalty area with hopeless crosses proved unsuccessful, as Juve’s experienced back trio and Gianluigi Buffon coped well. In theory, the move was supposed to provide a focal point upfront, but also offer more service into Ronaldo, but the Portuguese star’s threat in the final third was scarce. Juve, however, comfortably managed the final quarter of the game. They were organized defensively, whereas Morata held up the ball well to bring his teammates forward. Allegri’s substitutions were equally impressive, replacing Morata for compatriot Fernando Llorente, and Tevez for the energetic Pereyra. Llorente was involved in the two best chances of the match subsequent to Tevez’s winner. Once again a simple Marchisio ball over the top troubled Varane – who had a poor outing – enabling Llorente to round Casillas, but Carvajal intercepted his pull back to the onrushing Pereyra. Then, from a stoppage time Pirlo free kick, the Spaniard nodded a tame effort at Casillas. Tevez’s winner forced the Italian managers to alter their approach, but in terms of preparation and overall efficiency, Allegri outwitted Ancelotti. The overall pattern of the match went as expected when you assess Juve and Real’s road to the semi-finals. Ancelotti has often relied on width from the full-backs to overcome narrow defensive lines, whereas direct balls into Morata and Tevez has been Allegri’s method of bisecting the opposition’s pressing. But Juve’s method of baiting Real into pushing higher up the pitch was interesting. Yet it’s difficult to understand Ancelotti’s approach in this tie. Surely several players performed poorly – Bale, Varane, Ramos, and to an extent Marcelo – but Real appeared flabbergasted by Tevez’s movement in the opening stages, and constantly looked vulnerable when balls were played into the strikers. It’s unlikely that Real will perform this poorly at the Bernabeu, but they haven’t been entirely impressive at home this season. Allegri’s second half changes preserved a positive home triumph over the reigning champions, and it’s likely he may stick with a three-man defensive system with the wingbacks maintaining cautious positions, and rely on quick counters led by their dynamic front two in the return leg at the Bernabeu. Kwadwo Asamoah’s first half goal earned Juventus a vital victory in Florence, which sees them extend their lead at the top of the table to 14-points. Vincenzo Montella was without Giuseppe Rossi, and the suspended Borja Valero, while Mario Gomez and Anderson were included in the starting XI. 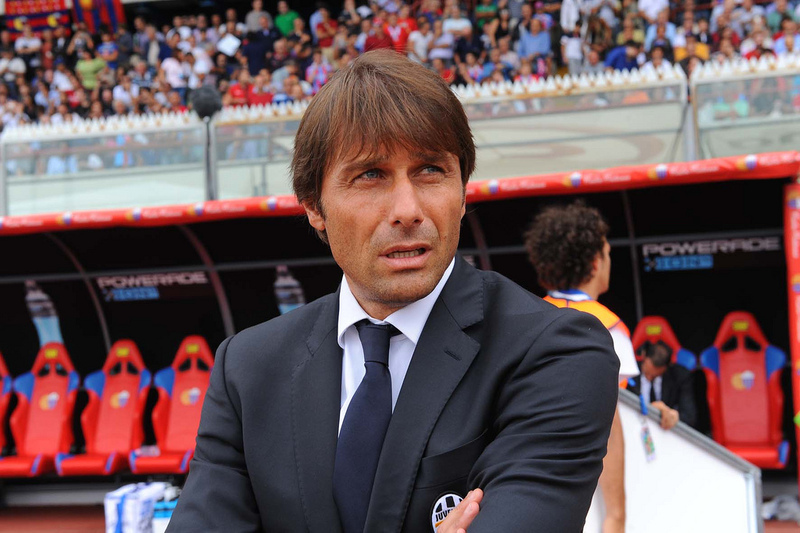 Antonio Conte introduced Angelo Ogbonna into the back three, and Claudio Marchisio retained his place in midfield as Andrea Pirlo was serving a one-match suspension. This was a performance that justified Juventus’ title credentials – Conte’s men created the better chances in the first half, and subsequently defended superbly as a unit to preserve a one-goal lead. One of the key feats to Juve’s success in matches against the top side’s this season is their pragmatic approach when the opposition sustains possession. Conte’s side relied on their imperious defending in his first title triumph – but considering the side has improved gradually, along with a congested fixture list, there’s no surprise that the champions have adopted this approach. Conte instructed his men to sit off the Fiorentina centre-backs, while Paul Pogba and Arturo Vidal closed down Montella’s full-backs. Likewise, Vidal pressed Alberto Aquilani’s movement in midfield, while Claudio Marchisio closed down Anderson. Fiorentina failed to develop a rhythm in midfield, due to Juventus’ high-press on goal-kicks. Juventus approached the second half with caution, and preferred to sit deeper in their third and soak up pressure. This was evident in the latter stages when they dropped into two banks of four with Asamoah in line with the centre backs, while Mauricio Isla was introduced to patrol the right flank. Although Montella’s men dominated possession throughout various periods of the match, his side was unable to unlock Juventus’ solid shape. Fiorentina didn’t create a legitimate goal-scoring opportunity until the second half, which exemplifies the significance of Juve’s work-rate and shape out of possession. While Fiorentina sustained majority of possession, their activity in the final third was poor – Montella’s side lacked a game plan. With Pizarro’s threat nullified, and the wide players properly tracked, Mario Gomez lacked service. Anderson enjoyed a positive opening 15 minutes leading the press with Gomez, and driving forward with his penetrating runs from midfield. The Brazilian, however, was unable to maintain his high energy levels and his impact on the match decreased as time passed. Distribution from midfield was often played into wide areas, and penetration from Aquilani and Anderson was non-existent, thus justifying Juve’s intent on sitting deep. Another key factor regarding Juve’s success was the containment of David Pizarro. Fiorentina’s deep-lyer failed to influence in the match, as Conte’s men negated his influence on the match. Vidal, Carlos Tevez and Fernando Llorente shared turns pressing the Chilean, with Llorente often closing down Pizarro when he aimed to pick up the ball in deep positions. On two separate occasions, Llorente and Tevez dispossessed the Chilean at the edge of his box, but they were unable to punish the home side. Pizarro completed 32 of his possible 34 passes, but majority of his distribution was sideways within his third. Conte’s decision to nullify Pizarro’s threat in midfield was successful, as Fiorentina struggled to dictate the tempo of the match in midfield, whilst lacking the tempo required to shift Juve’s back line out of position. Juventus’ goal was constructed from a moment of brilliance opposed to a well-constructed attack. 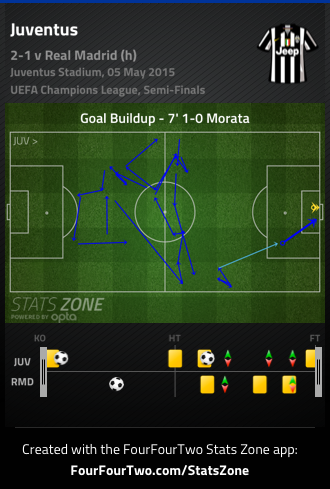 However, the warning signs were evident prior to Asamoah’s opener as Juve enjoyed freedom in wide areas. Vidal and Lichtsteiner combined on the right flank, which led to a cross towards the far post, and Norberto Neto pushed away Asamoah’s deflected shot. Subsequently, Asamoah played a ball into Llorente, who cleverly turned his defender and earned a corner. But in the final minutes of the first half, Asamoah received a pass from Giorgio Chiellini and evaded three Fiorentina challenges before striking a sensational shot past Neto – albeit a slight deflection. Asamoah was the key man in Juve’s attack, and the Ghanaian was involved in several key first half chances. Montella turned to his bench in the second half by introducing Matias Fernandez and Rafal Wolski in midfield. The change saw Aquilani become the deepest midfielder, while Fernandez injected creativity in central zones. Still, Fiorentina encountered the same issues in midfield, but Manuel Pasqual became a constant threat on the left flank. Pasqual delivered a great ball to Gomez in the box but he nodded it wide of the net. Later in the half, he combined with Juan Vargas and his cutback to Wolski led to Ryder Matos directing his header off the cross bar. Vargas dropped into deeper positions to retain possession, while Fernandez drifted into key areas to receive the ball, but Fiorentina couldn’t unlock Juve’s organized back line. 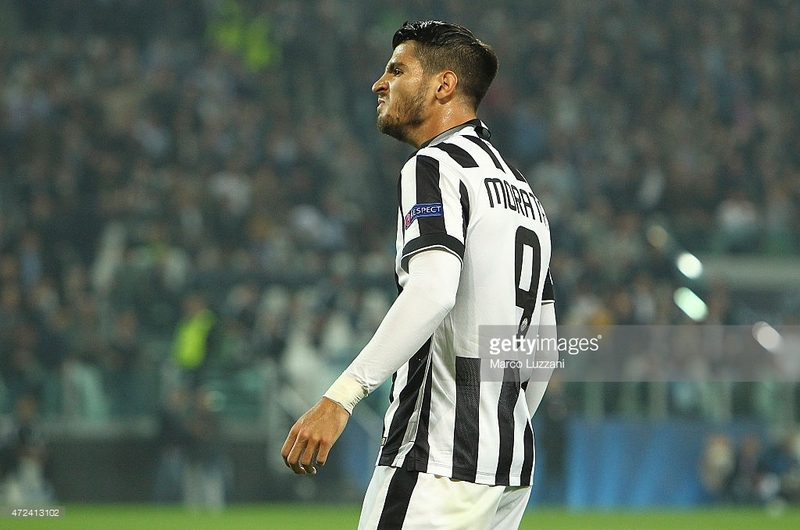 Juve produced a conservative performance in the second half, and their attack was languid. Marchisio was free to string passes together from deep positions but they were often misplaced, while Pogba and Vidal continuously conceded possession. Martin Caceres and Mauricio Isla were introduced in the latter stages of the half to ensure Juve maintained their lead. A rather dull encounter signified the strengths Juve possess, as they contained Fiorentina’s threat in attack. Conte’s men enjoyed a successful first half performance, but overall their defensive solidity, and intent on shackling Pizarro was beneficial. “We played the first half at a high level, then after the break we dropped back in part due to fatigue after international duty,” Conte said. While Juve can be ruthless in attack, their defensive performances in key matches have been pivotal towards their success this season. Ultimately, the win practically guarantees a third consecutive Scudetto, along with ending Fiorentina’s Champions League aspirations. Bayern Munich put on another excellent away performance to defeat Juventus 2-0 and advance to the semi-finals of the Champions League yet again. Antonio Conte stuck with his traditional 3-5-2, but Mirko Vucnic replaced Alessandro Matri, and was partnered with Fabio Quagliarella upfront. Paul Pogba and Simone Padoin featured in the starting lineup for the suspended Stephane Lichsteiner and Arturo Vidal. Kwadwo Asamoah also returned to Conte’s starting lineup, ahead of Federico Peluso. It was no surprise that Jupp Heynckes’ men continued to play in a 4-2-3-1, with Mario Mandzukic leading the line. Arjen Robben and Javi Martinez were included in the starting line up for the injured Toni Kroos and Luiz Gustavo. It was an impressive performance by Heynckes’ men, as they make their third semi-final appearance in the last four seasons. It was a truly breathtaking away performance from the newly crowned German champions, as they thoroughly dominated the Italian champions. 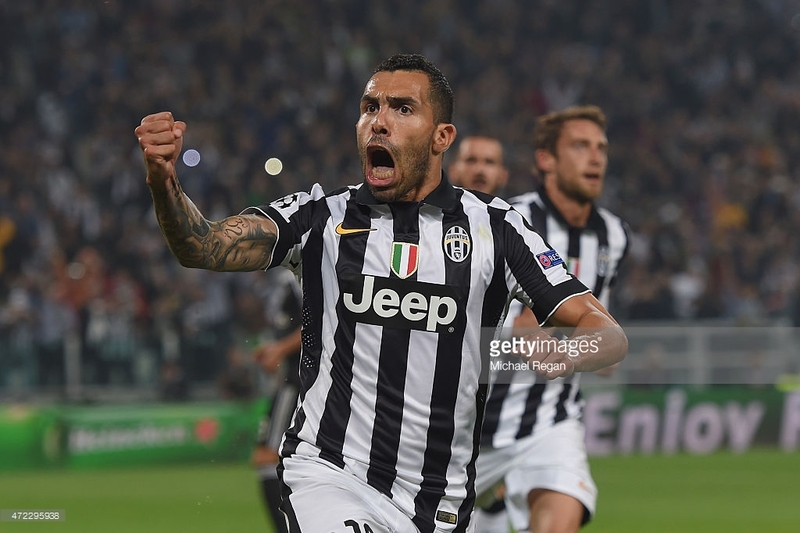 Juventus had a bright start to the match – it was a massive improvement compared to what transpired in the first leg. Matri and Vucnic were closing down the centre backs, while Asamoah and Padoin quickly closed down David Alaba and Phillip Lahm when they received the ball. In the opening 30 minutes, the Juventus midfield did a great job on Bastian Schweinsteiger. Claudio Marchisio, Paul Pogba and Vucinic occasionally dropped deeper to press the German midfielder, in which he had the worst passing rate of his career, at 64 percent. Unfortunately, Juventus was unable to sustain that pressure, and Bayern were able to impose their authority in the match. Five Bayern players completed more than 50 passes, and they began to assert their dominance as Conte’s men began to tire. Heynckes’ men pressed intelligently, and once again stopped Juventus from playing. Bayern’s front four pressed the Juventus front three and Andrea Pirlo, but at times they would sit off and let the Juventus defenders have the ball. There was no surprise that the Juventus defenders had the highest passing combination for the Italian champions, and this is what Bayern wanted. The German side sat off, and picked up the Juventus midfield three, which forced Juventus to play several long balls. Bayern’s pressing was effective and they created more chances in today’s match. Juventus’ inability to replicate Bayern’s pressing allowed the Germans to assert their dominance from wide areas and in possession. Schweinsteiger and Martinez were rarely picked up and they dictated the tempo of the match. Apart from Pirlo’s free-kick, Juventus rarely threatened in the final third. 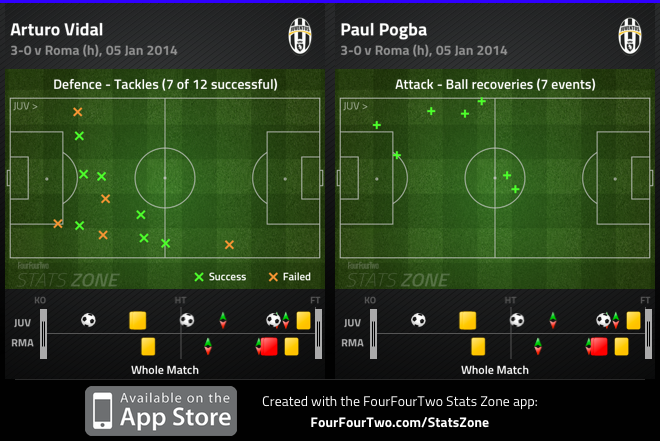 Pogba and Padoin combined well in the first half but they lacked the final ball. Asamoah failed to get the best out of Lahm, and often sprayed passes across the field. Vucinic also aimed to penetrate down that side, but not much came from it, as Bayern defended well. Bayern’s wide players were nullified in the opening 30 minutes, due to Juventus’ pressure, but once Conte’s men tired, Lahm and Alaba surged forward, mainly down the right. Muller, Schweinsteiger and Franck Ribery helped Lahm and Robben overload that right hand side. Ribery and Alaba also caused havoc on their flank, but with Ribery drifting centrally, the Frenchman often found himself connecting with Lahm and Robben. Juventus wingbacks played narrow when Bayern had the ball, and this often left Robben and Ribery going 1v1 with Giorgio Chiellini and Andrea Barzagli. The only worry here was that Mandzukic was left alone with Leonardo Bonucci, but Bayern failed to exploit that area. Thomas Muller played behind Mandzukic for the injured Kroos, and the 23-year-old midfielder had a quiet, but decent match. He didn’t do a great job pressing Pirlo in the first half, and casually tracked him. This could have led to Heynckes’ decision to press the midfield and let the Juventus defenders have the ball. Offensively, Muller did a great job in linking play with the wingers, and he received the ball several times in between the lines. When Juventus were pressing the German side, Muller was the key outlet in the midfield, and he often picked up the ball in between the lines unmarked. The German was unable to find the back of the net, despite having a few chances, but his all-around play was superb. In the first half, Schweinsteiger delivered a splendid ball from a free-kick, and no Juventus player cleared it. Daniel Van Buyten got his head on the ball and it went wide of the net. Schweinsteiger delivered the same ball in the second half and Juventus once again was unable to cope with the German’s delivery. Martinez attacked the ball this time, and Buffon saved his header, but Mandzukic headed the rebound into the net and ultimately ended the tie. Considering the aerial presence that Juventus possess, one wouldn’t expect them to be vulnerable from set-pieces. They were fortunate not to concede in the first half, but against an elite side like Bayern Munich, teams can’t afford to make defensive mistakes of this nature. Conte’s men failed to press in the second half, and Bayern continued to hold spells of possession for several minutes at a time. Juventus pushed forward and attacked, but left space in behind them for the Germans to capitalize on. Juventus was unable to retain possession, and the German side strolled through the second half with ease. Heynckes’ side created numerous chances, but only Claudio Pizarro was able to add to Mandzukic’s opener. Conte’s substitutions had no effect on the Bianconeri’s shape, as they were simply, like-for like changes. Juventus found themselves stretched on numerous occasions and they struggled to create chances in front of goal, due to another great display from Brazilian defender Dante. Over two legs Bayern displayed that they were the superior side, producing two fantastic performances, against a strong Juventus side. They pressed better, created more chances and were worthy winners in both matches. They head into the semi-finals along with Spanish giants Barcelona and Real Madrid, and their domestic rivals, Borussia Dortmund. Although cup-ties of this magnitude can go either way, if the Bavarians can replicate performances of this quality, they can be considered favourites to do what they couldn’t in Munich last season. Juventus’ European run has come to an end, and Conte will have learned more about his men through this experience. They were second best over two legs, against an elite European side. It was a successful run considering it was their return to European football, and experiences like this will only strengthen this side going forward. Conte will be disappointed in players such as Pirlo and Marchisio who were unable to showcase their talent on the big stage, against elite midfielders. “I think that the best team went through, which they proved in both legs. This side has been working together for a long time and always reaches the latter stages. They were created to win, so I don’t think it’s absurd to say this is the best Bayern team of all time,” Conte said. “When we were paired with Bayern, I said this was an opportunity for us to face an extremely strong side and understand the gap that separated us from the superpowers. This was an opportunity for us and we were basically newcomers to the Champions League after so many years out. We reached the quarter-finals, which in my view was something extraordinary,” he said. With Juventus storming past Atalanta this morning and Inter Milan losing to Lazio yesterday, the defending Italian champions go seven points clear of second place. Napoli take on Bologna later on today, but even a Napoli win will leave Juventus five points clear at the top of the table. Although we’re only near Christmas, Juventus look like clear favourites to retain the Scudetto as their title rivals are failing to stay consistent. But enough about Juventus, today Andrea Pirlo scored a remarkable 30 yard free kick to put the game out of reach. Despite not being a finalist for the Ballon D’or, 2012 has been a year to remember for the Italian maestro. He was instrumental in Juventus undefeated title winning season and Italy’s run to the Euro 2012 final. Pirlo silenced the doubters this year and displayed to the world why he’s still a world-class player. This free kick is another piece of brilliance that Pirlo has provided us with this year.